Microsoft Xbox is a video gaming brand, encompassing a series of video games consoles developed by Microsoft company i.e. 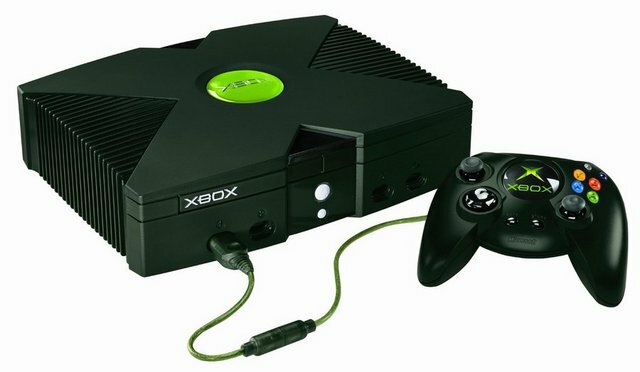 Xbox 360, Xbox One and the original Xbox console released on November 15, 2001. An Xbox console is actually a device integrating multiple functions in one, allowing you to listen to music, watch movies or TV shows or even contact with your friends or families in real-time. Together with the release of Xbox consoles, various Xbox accessories are also coming out like Controllers , Stands, Headsets, Charging devices, Joysticks and Interactive toys. To know more details about a specific Xbox accessory, you can actually visit its official site here. What File Formats Can Be Supported by Xbox? Video formats: 3GP video, 3GP2, AVI DivX, DV AVI, AVI uncompressed, asf, AVI Xvid, H.264 AVCHD, M-JPEG, .mkv, .mov, MPEG-PS, MPEG-2, MPEG-2 HD, MPEG-2 TS, H.264/MPEG-4 AVC, MPEG-4 SP, WMV, WMV HD. Audio formats: 3GP audio, AAC, ADTS, MP3, WAV, WMA, WMA Lossless, WMA Pro, WMA VoiceXbox. Can’t wait to play DVD on Xbox, only to find DVD is not supported or Xbox won’t play DVD? Don’t worry! You can easily watch DVD as long as you convert DVD to Xbox supported file format. Indeed, nowadays an increasing number of people prefer ripping DVD to other formats like MKV, AVI and etc. due to the following reasons: DVD is easy to be scratched and damaged, so the best way to protect DVD is to rip them to other file formats which can be safely saved elsewhere; many DVD discs are code-protected, so if the DVD region can’t match the region of your Xbox console, Xbox won’t play DVD; the final reason is that once you have ripped DVD to other file formats, you can watch it anytime and anywhere no matter DVD is at near hand or not. Now, let’s see how to convert DVD and how to watch DVD on Xbox. As introduced in the above, in order to successfully watch DVDs on Xbox, you need to convert it to the proper format. Then a professional DVD ripper is a must, like this Leowo DVD Ripper. 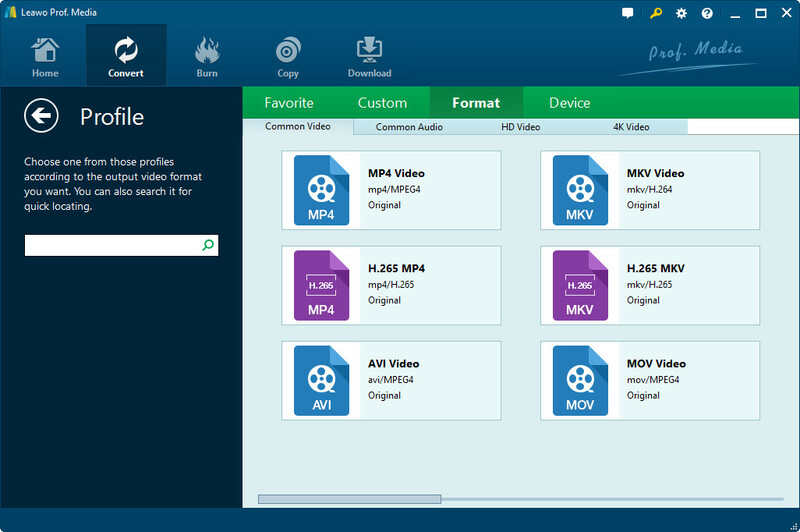 With this program, you can easily rip DVD to any format that is supported by Xbox. Actually, this DVD ripper can support 180+ file formats of videos and audios including MP4, WMV, MKV, FLV, F4V, MP3, AAC and so on. 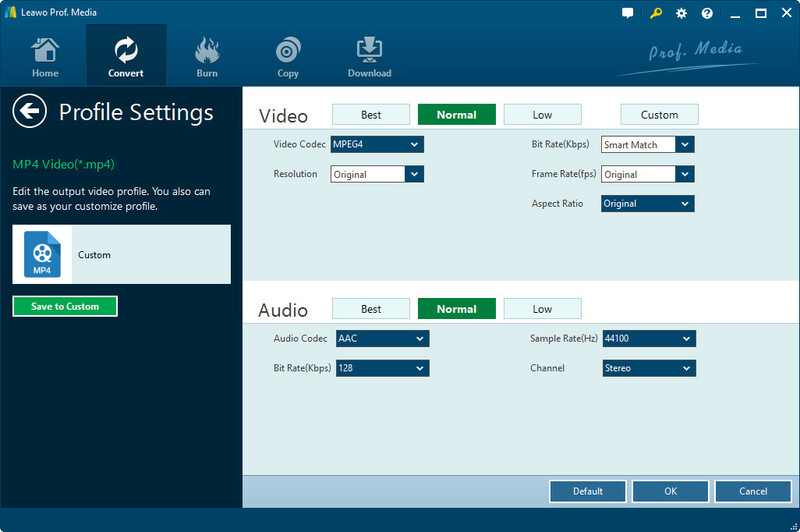 And this software is actually an all-in-one tool integrating three functions in one: DVD to video converter, DVD to audio converter and DVD player. Moreover, with this software, you are free to customize video effects by trimming, cropping, adding effects and watermarks, or rotating as desired. And this software is quite easy to use and time-consuming. All in all, compared with other DVD rippers, like Xilisoft DVD Ripper which lacks the video editing feature or iFunia DVD Ripper which takes a very long time to finish the conversion, this Leowo DVD Ripper can do a better work. Now, let’s see how easy it is to convert DVD to Xbox supported video format. - First of all, open the installed software on the computer and you will see the home page. Click on the Convert button on the sub menu enter the next interface. Or you can hit the “Blu-ray Ripper” in the middle. - Tap on “Add Blu-ray/DVD” option to import the exact DVD file. Then, if you want to import all titles of the source DVD file, hit the Full Movie option; if you choose the Main Movie option, the longest title will be selected by default; and if you want to freely decide the wanted titles, just choose the Custom Mode. - After that, hit the OK option to begin. Now, you can tap on the drop-down box next to the option of “Add Blu-ray/DVD” and hit the Change option to select the wanted output format under the Device tab. - Then adjust the detailed information as needed. - Hit the Convert icon, decide the location to save the output file and hit the Convert option at the bottom to continue the process. Within a little while, the conversion will be completed and then follow the continued steps to play DVD on Xbox. - Head to Settings > All Settings > Preferences > Game DVR & Streaming on your Xbox and enable the option of “Allow Play to Streaming”. - Navigate to the file that you have converted from DVD to the computer. Right click it and choose the “Cast to Device” option and then the exact Xbox, taking Xbox One as example. 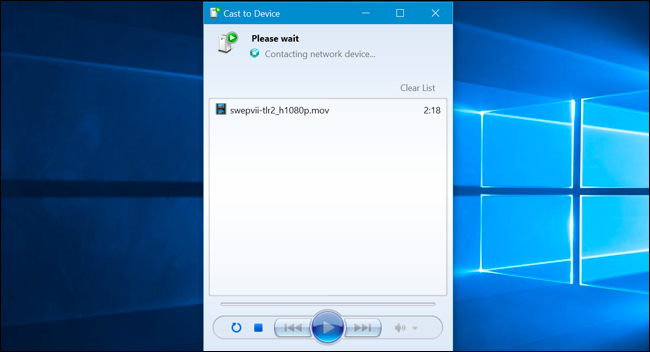 - Then a small Windows media player window will appear as pictured in the below. With it, you can control playback from your computer. So if you are exactly looking for an easy and fast way to watch DVD on Xbox, just follow the exact steps as listed in the above and then enjoy your video feast as desired! It surely won’t let you down!